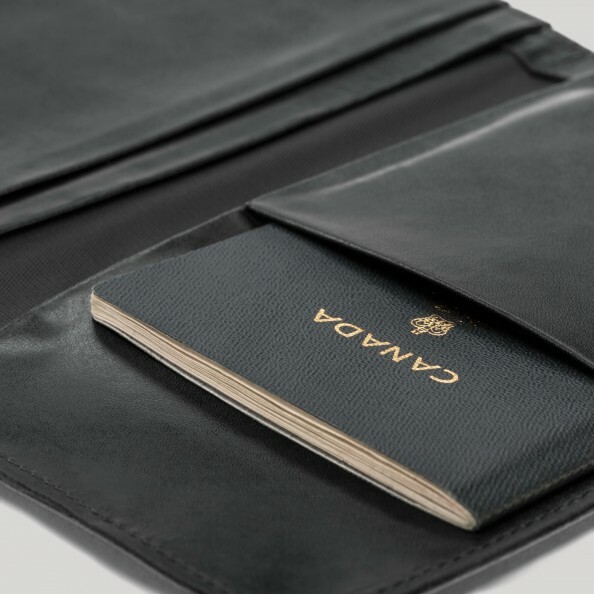 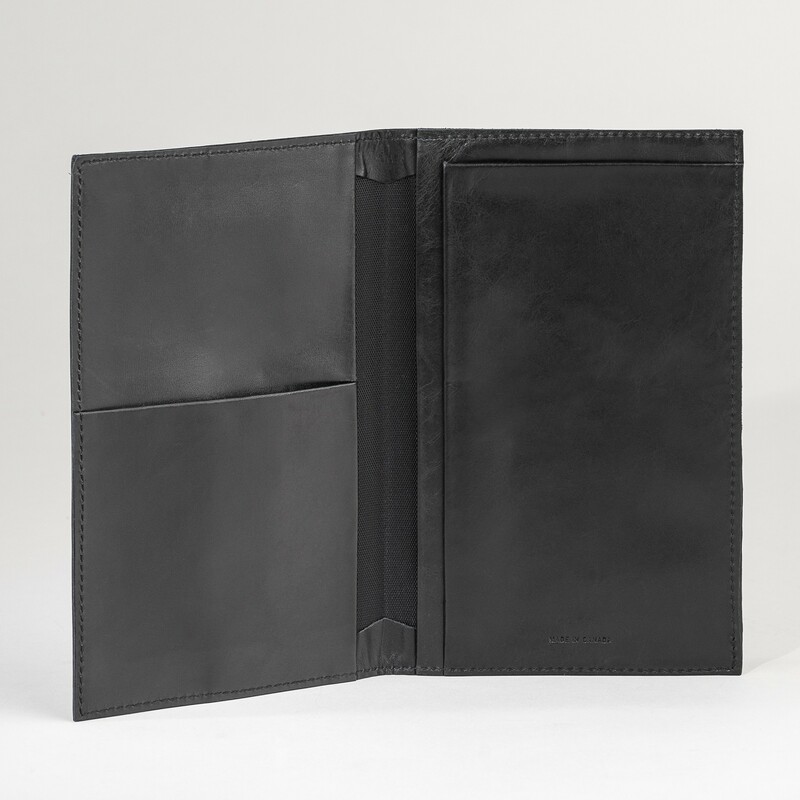 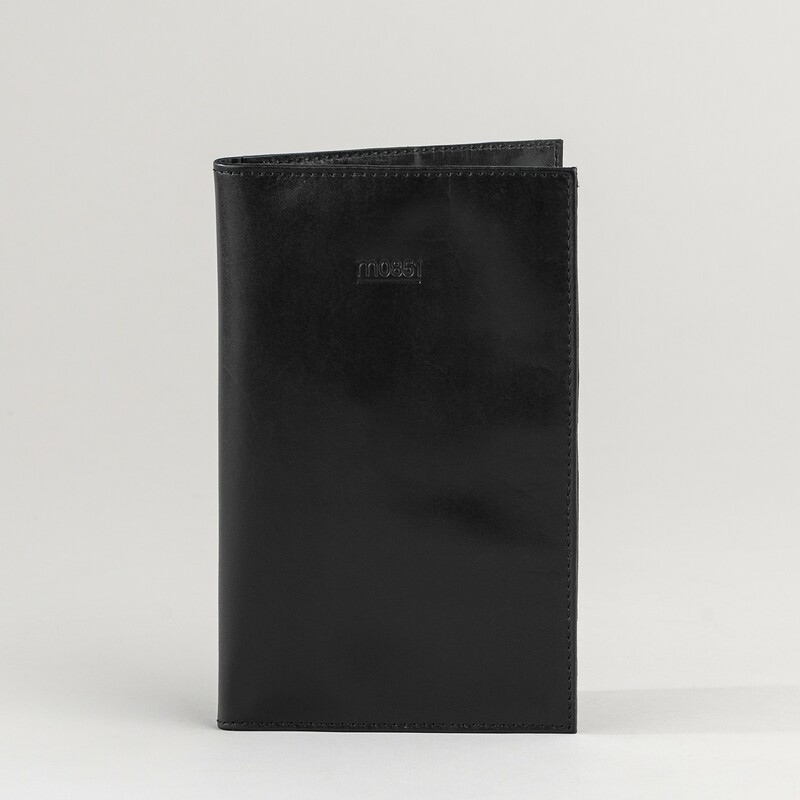 Large Passport Holder in Aniline leather. Small pocket and compartments for passeport and tickets. Lined in nylon.